The Roma Reno II powerchair from Roma Medical is back with a new design and packed with fantastic new features. Compact and stylish and great for both indoor and outdoor use, the Reno II powerchair really is a joy to drive. The Reno II has been designed to enable the user to quickly and easily dismantle the powerchair without needing any tools for stress free transportation. It only takes a few seconds to dismantle the Roma Reno II powerchair and it’s done with ease. The seat can be lifted from the base and then the battery pack. The base can then be wheeled anywhere using the foot plates’ handle. What really makes this a breeze is no tools are needed – it’s a quick and simple way to separate your power chair into pieces to easily fit it in the boot of a car or to be stored at home. Even with its compact size the Roma Reno II powerchair still packs some serious power! 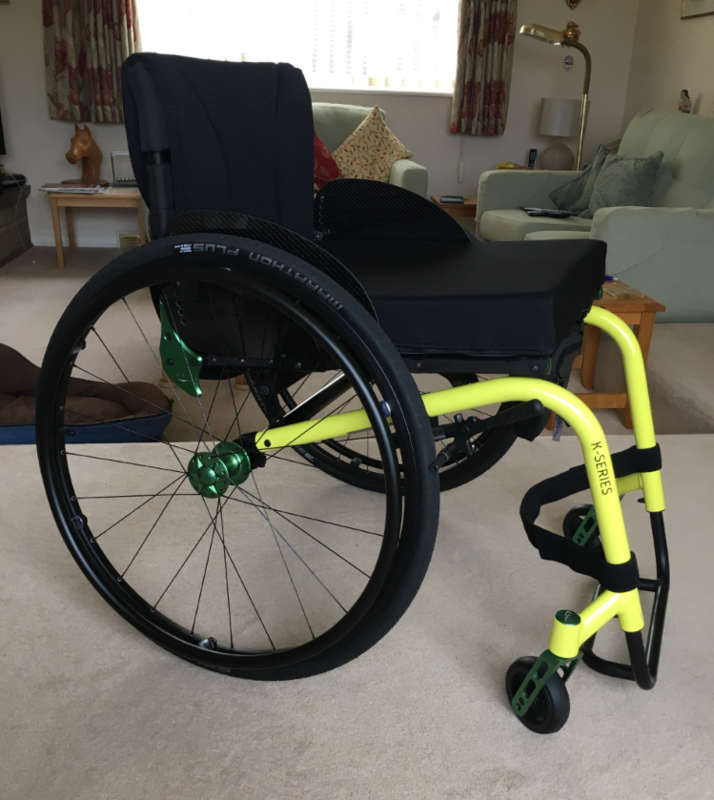 This powerchair can accommodate users up to 21 stone and with speeds of up to 4mph and a range of 15 miles on a single charge it really shows what the Reno II is capable of. It’s perfect for those quick trips to the shop or simply getting around the home. The batteries are detachable meaning charging is easier as the chair can be stored in one place whilst the battery is charging somewhere else. The Reno II has been designed for both indoor and outdoor use and it exceeds at both. A turning radius of 80cm means navigating between furniture is a breeze. It’s small size and small wheels mean it can fit through gaps other power chairs cant. The tyres are non marking on the front and back so you can have the peace of mind that your floors will stay clean and undamaged in your home. The tyres are also completely puncture proof so you don’t have to worry about outdoor journeys. Roma Medical really wanted the Reno II powerchair to be as easy to use as possible. The controls have been designed to be easy to pick up and use whether you’re a novice or experienced powerchair user. The controls actually slow the chair down around corners to prevent you from veering onto uneven ground. You will be incredibly comfortable on the padded seat and be able to adjust the position to suit you with the height adjuster. 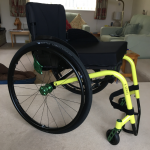 The swivel action means the chair can be turned 90 degrees either left or right this can really help when mounting and dismounting the powerchair. This is really handy feature if getting on and off the chair would prove difficult for you. There’s a large storage basket that’s easy to access just under the seat which is perfect for easy access to your belongings on the move. 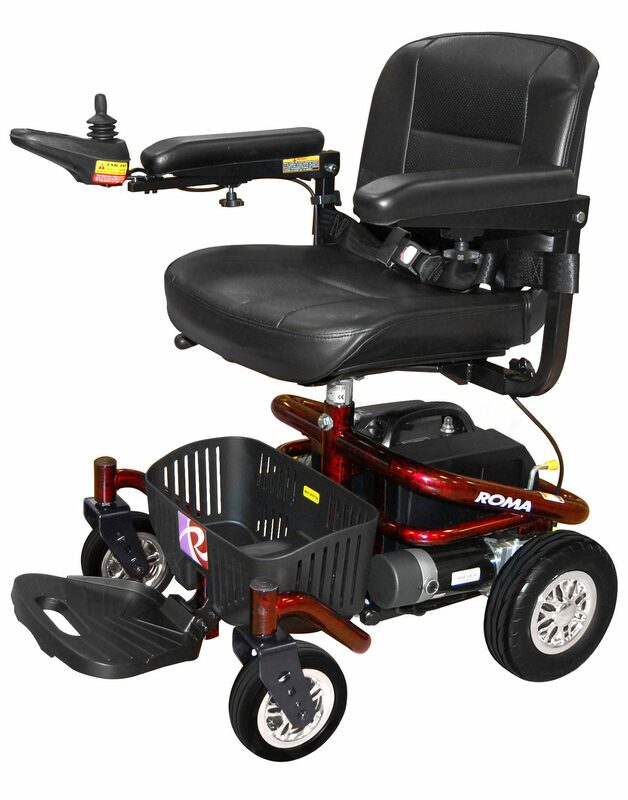 The Roma Reno II electric wheelchair is a portable powerchair for both indoor and outdoor use. It is compact and stylish, with a large storage compartment and user-friendly controls. Please feel free to contact us for more information about the Roma Reno II or any other powerchair where how friendly staff will be happy to find the right powerchair for you.